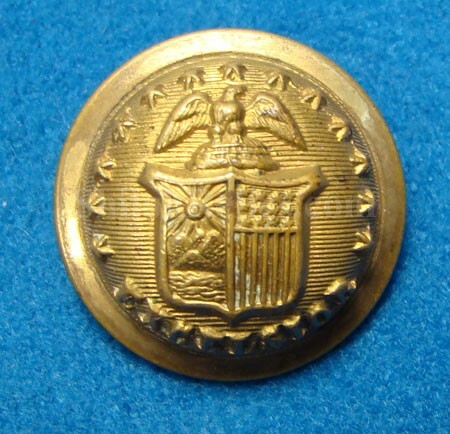 This is a nice original non-excavated coat size uniform button from the state of New York. This is the classic Civil War New York design to the face but this one was made after the Civil War and is priced accordingly. The face has the shield in the center and the "EXCELSIOR” written below it. 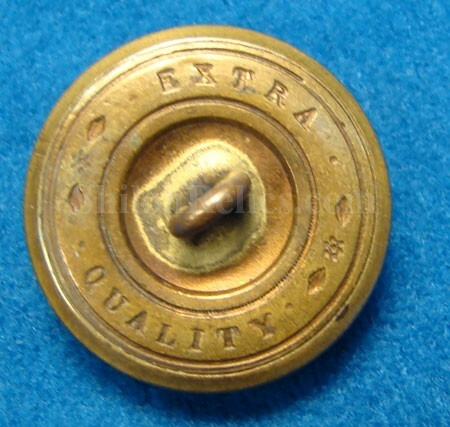 The face of the button has a pleasing golden non-excavated look as you can see in the pictures. The original back is intact with a perfect shank. This has the mark of "EXTRA * QUALITY *”. This is the generic backmark version that was made so they could sell the button without advertising for the actual button maker. This is a great New York to add to your button collection.